What is your favorite consumer product? Re: What is your favorite consumer product? obgraham wrote: That's really funny, TomatoTomahto. Just last week I found the same thing about the NB shoes I've bought for 15 years -- no longer being made, and the replacements are completely different. So I ordered 5 pairs online and my wife laughed at me. I'll tell her about the 42 just to annoy her! I wonder why NB does that, and I assume other manufacturers do also. My cardio is generally on the elliptical, so shoes aren't as critical, but NB replaced my favorite with improved models over the years, none of which I like as much. Based on reviews on Zappos, I'm not the only one who didn't regard the new models as improvements. Dilmah tea: The single origin tea, 100% pure Ceylon, Premium quality. TomatoTomahto wrote: I wonder why NB does that, and I assume other manufacturers do also. My cardio is generally on the elliptical, so shoes aren't as critical, but NB replaced my favorite with improved models over the years, none of which I like as much. Based on reviews on Zappos, I'm not the only one who didn't regard the new models as improvements. I am having the same problem with hiking boots. I have Keen Targhee Mid boots that were comfortable from the start. However, the soles are pretty worn out and I decided to get a new pair of boots, which I will either wear on el Camino or after el Camino when I would have to through the old boots away. I went to REI to get a new pair of boots. Keen is now offering Targhee II Mid boots, which have a distinctly different shape from mine. Still, they were the most comfortable boots of many that I tried in the store. I've bought Targhee II and will be breaking them in for the next couple weeks. If they become as comfortable as the old ones, I will start considering getting large reserves before Targhee III hits the market. livesoft wrote: Kroger Oatmeal. Quaker is almost double the price. So I've covered the front end and you have covered the back end. Who is going to chime in with the middle? I don't agree with bustoff. Charmin Ultrasoft is a better product IMO. It has been with me for 25 years. I take it on international travel. Nowadays if you buy it from a supermarket, it has shrunk. Only place I know to get it in original size is Costco. Hope they do not eventually take away one of the few true luxuries. Lodge Cast Iron skillet - This thing will last several lifetimes and we use it to cook *everything*. I can't imagine cooking without it. Apple Products - I can communicate with anyone, manage bills/accounts, and do my job with their devices that for the most part just work. There are downsides of course, but common sense takes care of that. Speaking of rum, Pyrat rum...with pineapple juice...I used to doubt brand loyalty when it came to rum. No longer. If I'm going to spend my money on something that's new and possibly even retail(ugh), I usually make sure it's something that serves a very practical purpose and is of good quality so that it will last. We're not big on unnecessary, luxury items. The one thing we will spend a little extra on is food that we buy to prepare at home. Due to the fact that most of the so called "food" in the supermarket is absolute garbage due to the amount of sugar, gmo corn, gmo soy and chemicals in it. I have two toddlers and I'm in no rush to give them diabetes or cancer. Here are some of the brands/products that I think are actually worth spending your hard earned money on. Last edited by DDMP20 on Mon Mar 02, 2015 12:08 pm, edited 2 times in total. VictoriaF wrote: Dilmah tea: The single origin tea, 100% pure Ceylon, Premium quality. Is this loose leaf tea? I'm a bit of a tea person myself. I only drink loose leaf white and green. Real tea. Not that crap they sell in the supermarket. No, it's in tea bags. I have a pot and a strainer for making loose leaf tea, but most of the time I take an easy way. Here are links for my black tea and green tea. I have not had white tea for a while, thank you for reminding me about it. DDMP20 wrote: I only drink loose leaf white and green. Real tea. Not that crap they sell in the supermarket. I agree with you about supermarket tea. Can opener. Kuhn Rikon Safety Deluxe Lid Lifter. Cuts top off sideways so it can be reused to store opened can in refrigerator. Emergency lights. Lite Saver, from CS-power.com. 3-in-1 light: night light, work light, power failure light. Stopped looking for house backup lighting solutions when if found it. Four will fit in two duplex outlets and each is good for 12 hours of use. Have you ever tried matcha? Thank you, DDMP20, I will check out their selection. And I should try matcha. This winter, I've been enjoying this brand, which is new to me. A bit pricey, but great quality. I am so glad I don't have to wear those anymore!!! My Soda Stream and iPad. Bose QuietComfort 25 noise-canceling headphones. Life changing on long flights. Jura superautomatic coffee makers. I have had mine for over 8 years and have made over 9000 coffee drinks. It has never once needed repair. Amazing coffee every time! VesperLynd wrote: Speaking of rum, Pyrat rum...with pineapple juice...I used to doubt brand loyalty when it came to rum. No longer. Good call. I have a couple of bottles of Pyrat rum stashed away right now. If you like Pyrat then you need to try Zaya rum. It is my favorite for sipping. No mixers allowed. These are basically like mittens that go over the bicycle handlebars for riding in weather below freezing. They block the wind beautifully so that I only have to wear thin gloves underneath which lets me retain dexterity compared to big thick gloves, and my hands are much warmer than wearing even 2 pairs of gloves. Bar mitts allow me to extend the number of weeks I bike to work, which is the fastest and least stressful way for me to get around town. my 13 inch mac air. Graeter's Ice Cream. Especially the free sundae during my birthday week. What, Phillips Sonicare Toothbrush ?? Not me - I use my same hands for 77 years. SJG wrote: Even better, New Jersey tomato's and corn in the middle of the summer. ...a BLT with a side of fresh corn and a warm breeze right about now. You are an evil, evil person to bring up that image. And in Germany, Rotkappchen Sekt. I tell everyone that I moved to Germany for two reasons: for my husband and for Rotkappchen. You don't know what you're missing in the States. I had never paid for a cellphone before it, always got ones that either had cash back after rebates, or were free. The first time I saw my friends, I knew it was a game changer. 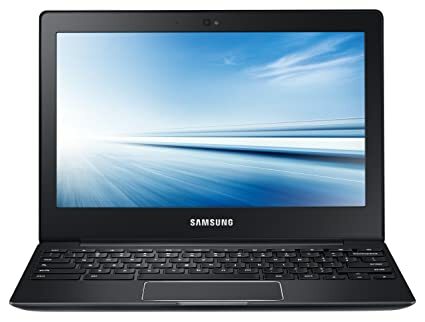 To this day, it is my primary computing device. I feel naked without it. At the moment Peanut Butter for a subtle way to increase weight! 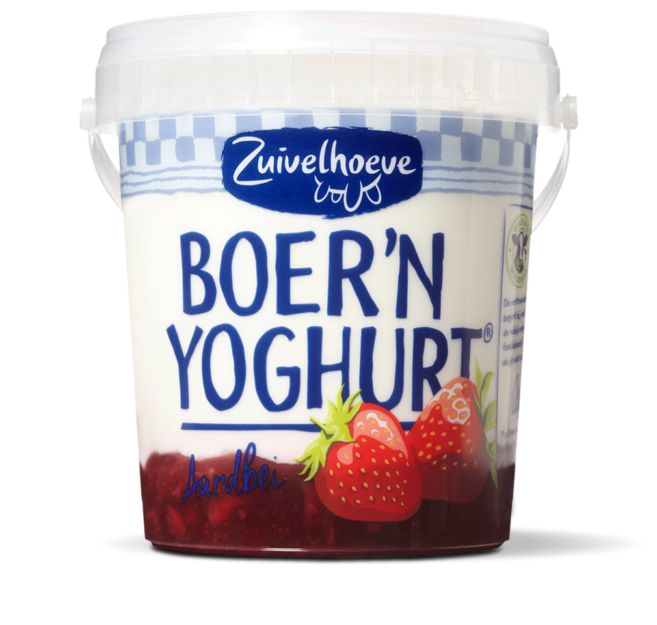 Dutch farmer's yoghurt - it is hands down the best yoghurt I've ever had. Trader Joe's nonfat plain creamline yogurt. Bustoff wrote: What consumer staple products do Bogleheads consider to be the best when it comes to food, beverage, personal or household products. Have you discovered an everyday product that exceeds your expectations, be it particular brand or item. My new favorite is from Costco. It's Cottonelle Ultra Comfort Care. Soft, strong and nice wide sheets. I think it's the best bathroom tissue ever. I was just going to say Toilet Paper followed by food. People say the basic needs are food, clothing and shelter. I say it's toilet paper (with a place to flush it), food, clothing and shelter! Getting to the brand: for TP I use Scott 1000 because it is easier on my new, very expensive, septic system. Many people are lucky that their soil makes an excellent drain field. In my case there is too much clay. Actually it is ALL clay. Worse, when I had it tested it was listed as the worst soil type possible for a septic system's drain field. It was categorized as "Clay, Massive." I essentially need my own little sewage treatment plant. Cant have non-dissolving TP clogging up the pump, many valves, two filters and hundreds of drip line emitters. Last edited by sambb on Sat Nov 26, 2016 9:18 pm, edited 1 time in total. Kept me out of a lot of trouble in my younger days. Garmin GPS. It saved my marriage, and I'm guessing many, many more! One thing I've learned after seeing good products disappear, is that if there is a product you like and it will need to be replaced at some point, buy a lifetime supply as Mrs. TomatoTomahto has tried to do. Alas, for Johnson & Johnson First Aid cream, Pledge Grab-It Dust & Allergen unscented dry cloths, natural waist jeans (no, the ones claiming to be natural waist now ride inches below the waist), etc. where I missed the boat. Last edited by mouses on Sun Nov 27, 2016 7:40 am, edited 1 time in total. I knew a guy who ran twice a day. He needed a new pair of shoes every 3 weeks. Nike Air Zoom Vomero 10 - best and lightest running / walking shoe - after purchasing them I actually went and brought 3 more pairs because they will be discontinued the next time I shop. Uni-Ball Vision 10 black pen - does not blot and is permanent.